As Google explains it in a brief support post, the new feature lets you chat with anyone in your circles, who also has you in their circles. No longer do you need their email addresses. This significantly lowers the bar for social interaction. It’s a little like Twitter’s direct message rules, which only allow successful transmission of direct messages if the sender and receiver are following each other on Twitter. It’s also a bit like Facebook Chat, which allows open discussion between mutual Facebook friends. Perhaps more significantly, these chats can even occur outside of Google+. 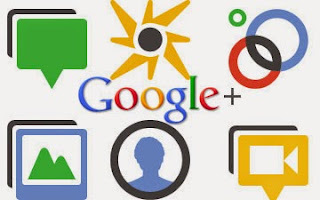 Those in mutual circles can, Google’s post explains, talk on Gmail, Google Plus, iGoogle, Orkut, and the Google Talk Client. Google has also done a little work on Google+ Chat list. The contact list now focuses on recent chat participants that are also online. Obviously, the idea that a simple circle connection is enough to open the door for free-form chat in the still-young social network may be a step-too-far for some. Google seems to acknowledge as much by mentioning the privacy settings within the enable box. On the other hand, Chat within Circles defaults to, essentially, everyone in “Your Circles” and the custom settings do not offer much guidance on how to clamp down the control. What do you think? Are you ready to start receiving chats with all of your mutally circled friends? Tell us all about it in the comments.